GSM-R (or GSM-Railway) is based on GSM (Global System for Mobile Communications) technology. It is part of the European Rail Traffic Management System (ERTMS) standard and provides railway operational staff with a secure platform for voice and data communications. GSM-R is used by drivers, dispatchers, shunting team members, train engineers, and station controllers. It delivers features such as group calls, voice broadcast, location-based connections, and call pre-emption in emergency situations. As part of the ERTMS environment, GSM-R helps to provide benefits to both rail operators and passengers. These include faster, longer and more frequent train services, without compromising safety, as GSM-R guarantees performance up to 500 km/h (310 mph), without any communication loss. As train drivers and rail personnel need to communicate everywhere along the line, the GSM-R environment is technically complex with many challenges to overcome. Communication failures and interference from internal or third parties affect network performance and service availability. And without GSM-R service, trains cannot operate, which causes delays, passenger dissatisfaction and expensive penalties. As rail telecoms issues are one of the factors that impact rail costs and safety, they need troubleshooting and regular network quality assessments. Accurate and frequent testing is conducted on new train lines to demonstrate they meet the necessary industry safety standards and on existing lines to ensure that a high quality of service continues to be available at all times. Testing GSM-R coverage is very different from testing quality of service for a normal mobile network as there can be large variations in data usage. This includes areas where quality of service is unknown or seldom tested. The tests are subject to strict requirements and need to comply with UIC testing methodologies. Interference can also cause issues and failures in GSM-R voice and data communication. It is important to measure the RF coverage along the GSM-R network to identify where interference occurs. The next step is then to engage with the mobile network operator (MNOs), third parties or legal entities, to address the issues. In many cases, the test and monitoring equipment is installed on test trains. 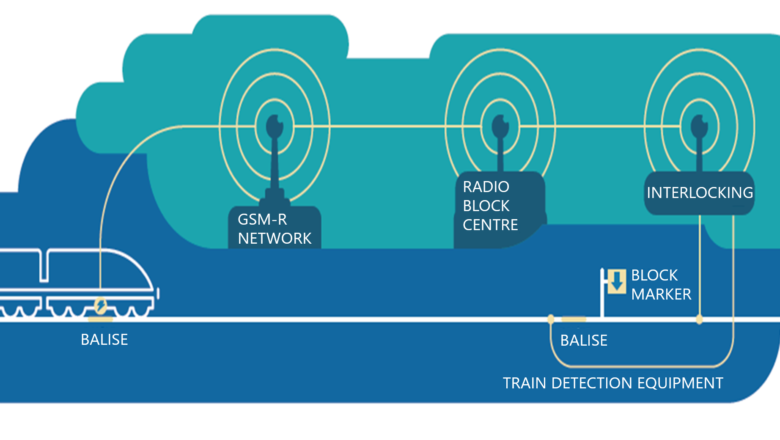 As the trains travel along the track, operatives collect data from 2, 3 and 4G networks to measure the quality of service and the extent of any interference in the GSM-R network. However, as test trains often operate outside the main commuting times and are expensive to equip, portable GSM-R testing solutions are also used to extend the testing capability. Operators can conduct their own tests or run automated tests on-board operational trains or on platforms, using test equipment in trolleys or backpacks. Learn more about the Comtest Wireless GSM-R and ETCS test and measurement products.